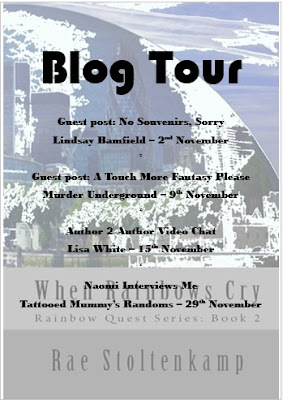 So this is my first ever blog tour to promote the release of a new book. I’m being hosted by a fabulous set of bloggers. A massive thank you to them all for having me. To begin with I’m staying more or less local. Post 1 is hosted by Lindsay Bamfield who I met through a North West London writing group. It was run by Stewart Permutt and was the most welcoming group ever to grace the face of the planet. I was introduced to it by my good friend Barbara Hartridge. Even though getting there and back was a major trek on the North Circular, I stayed in this writing group for almost 4 years while it was run out of various venues, including a room at Alexandra Palace. 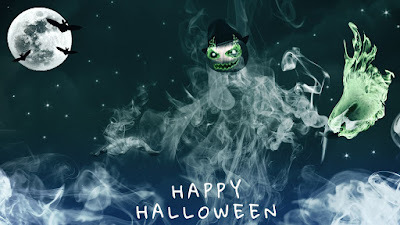 Stay safe while Trick or Treating & remember to brush those teeth afterwards, including the false set. I thoroughly enjoyed this instalment of shenanigans in the Discworld. The main theme running through it is that stories have power. Their part in the fight between good and evil is emphasised to the max. There are many literary references to look out for including The Lord of the Rings and Dracula. Fairy tales also have a central role and thus we need the help of 3 witches first introduced to us in Wyrd Sisters. 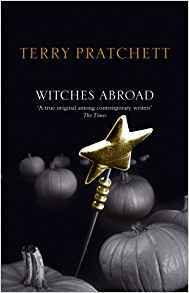 The triple act of the witches Weatherwax, Ogg and Garlic are crucial to give the reader the viewpoint of different types of people. Pratchett also very cleverly uses the combined enthusiasm and lack of experience of youth to lead the reader towards knowledge without hitting us over the head with a mallet. An oldie but a goody. I loved this film when I first saw it primarily because it featured Sidney Poitier. I was too young to understand how important it was at the time. I’m even amazed I got to see it at all considering where I lived. If you like what you see here I can also recommend you take a look at Blackboard Jungle and To Sir With Love. They are also terrific. A gruelling watch but well worth it to get a true flavour of the horrors so prevalent in the US at the time it depicts. Not that much seems to have changed mind. Be warned, though, there are some truly horrific scenes in it. 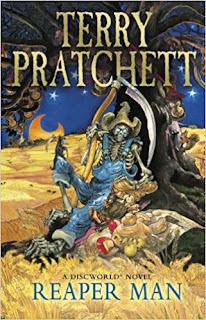 I’ve been a little disappointed in the majority of my reads during my trawl through the first third of the Discworld series. Finally however I feel as though I’m getting to see more of the Pratchett I know and love so well. Of course, it does help that DEATH is central to the plot in this one. Pratchett’s DEATH is one of my favourite characters, ever since I first encountered him when reading Good Omens. DEATH’s ‘retirement’ is central to the plot and pulled me through the book with the anticipation of finding out how this pans out. I also loved the introduction of Windle Poons and the very logical reason for the existence of his zombie self. Other great characters such as Miss Flitworth and the shy Bogey Man combine to make a terrific ensemble cast for this novel. 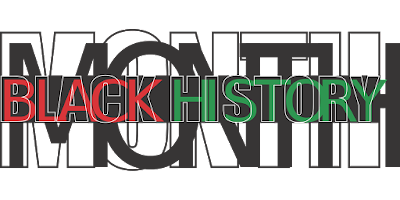 I’m taking a slightly different tack in celebrating Black History this month by looking at what the present has to offer, which in turn leads to what the future could hold.In order to understand how we’ve come to our here and now we need innovative people to enlighten and educate us. This might be through literature, art or film. As I’m a writer I bet you’re expecting me to go down the literature route. 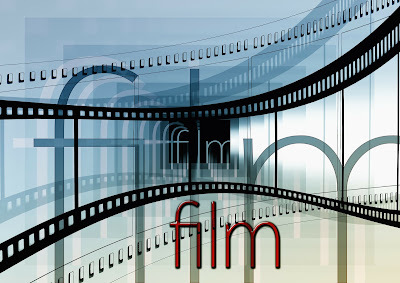 I’m bucking the trend though as my chosen medium for this post is film. Naturally that means we need to take a look at Amma Asante.